Coron Island is an archipelago full of coral reefs, brackish lagoons, mangroves, limestone forests and flourishing biodiversity. There are ten lakes in the area considered sacred by the Calamian Tagbanwa, called Panyaan’s. The lakes are also officially recognised by the state as indigenous ancestral territories. In the face of increasing development pressures such as mining and modern fisheries, it is doubtful if this recognition successfully protects the cultural and biological values of the Calamian Tagbanwa lands. The Calamian Tagbanwa are fish ing people whose customary rules regulate fishing, including to define were fishing is allowed. Other areas can only be entered for cultural use when permission of the spirits is obtained. Regrettable an influx of migrants and youngsters who do not adhere to the customary rules threaten these sacred areas. Their more modern ways of fishing are less sustainable and traditionally defined restricted areas and fishing regulations are not respected. The Calamian Tagbanwa believe these violations upset the spirits and the giant mythological octopus, Kunlalabyut, who live in the lakes. Luckily most youngsters still respect the teachings of the elders. A solution to ensure the maintenance of the sacred areas is to train the elders and communities to react to the threats posed to their lands. One aspect of that is to enable elders and communities to organise meetings where their traditional knowledge is taught to the next generation. In this way the younger generation is continuously engaged with the sacred knowledge and customary law. 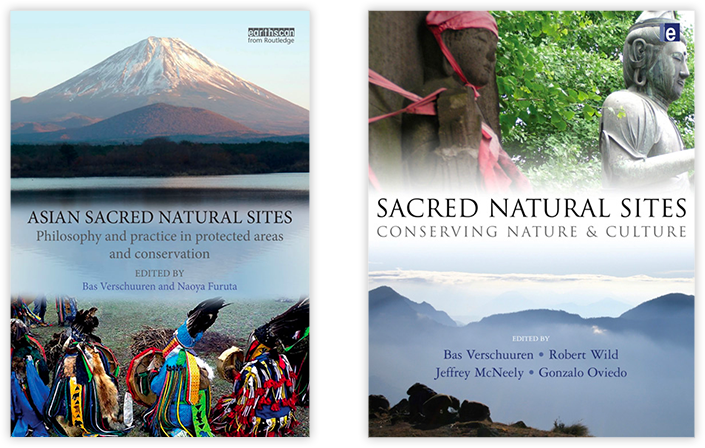 For more information see the site description on the site or read the case study that Arlene Sampang prepared for the book: Sacred Natural Sites, conserving nature & culture, chapter 24.